A tiger in its enclosure at the Jugomaro Predator Park. Picture: Rosa Fernandes/Facebook. Confusion surrounds the future of a number of wild cats which were reportedly darted during an attempt to remove them from the Jugomaro Predator Park, in Limpopo, on Wednesday afternoon. 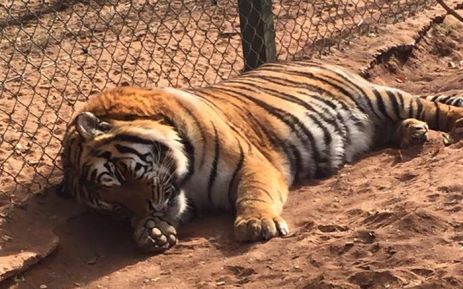 One of the owners of the park, Justin Fernandes, made an impassioned plea for help on Facebook when he heard one of the tigers had been shot by the men darting the animals. Fernandes and his mother Rosa said they feared the animal was shot after claims that it attacked a security guard earlier in the day. Rosa said that while she saw the tiger later, she could not determine if it had indeed been shot as its head had been covered with a towel. She said the men who were darting the animals told her they only fired warning shots in the air when the tiger tried to escape from its enclosure. It’s understood there was an attempt to remove the wild cats were from the park as part of the liquidation of the Fernandes’s business. 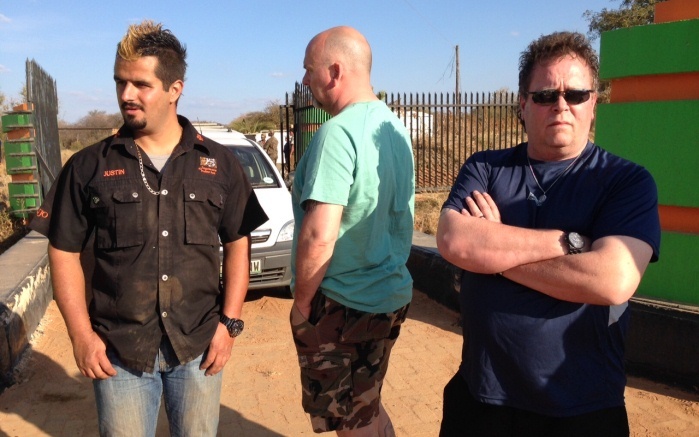 One of the owners of the Jugomaro Predator Park Justin Fernandes (left). Picture: Vumani Mkhize/EWN. But the family said it had not been told what was going to happen to the animals, or who they were being sold to and where they were being taken. The Fernandes family has been locked in a legal battle over the sale of their property to a Gauteng businessman, Antonie Brown, late last year. They claim Brown is behind the removal of the animals, but he says he has nothing to do with the liquidation. The incident is not the first time Justin and his father Goosey have sparked interest through their ownership of tigers. In 2010, one of their tigers, Panjo, went missing after jumping off the back of a bakkie near Delmas, Mpumalanga. He was found in Verena by trackers two days later.